Amanda from Beef Daily wrote a post last week about a city boy visiting their farm and asking tons of questions. 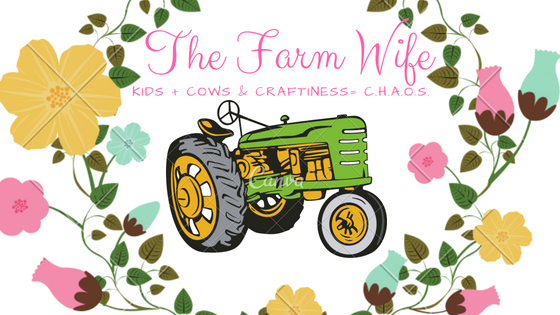 She listed 20 of them and I thought I would take a moment and answer some of them from my perspective….as a farm wife. 1. Are farmers rich? Is it easy to make a living off ranching? Or, do you just like the lifestyle? There is an old saying “Farmers are land rich and money poor.” Farmers like the rest of the country do their best to make ends meet. We put up with high risk, low returns, and a very volatile market. People see farmers & ranchers and assume because of the amount of land, equipment, and possibly livestock that they have lots of money; however most of their money is tied into that operation. You don’t see many farmers/ranchers out shopping each week for new clothes or electronics. Farmers have to work hard for their money; it’s not easy to make your living off a farm or ranch. Most farm families have at least one person that works off farm to supply a steady income just in case prices drop, a drought happens, or your crop is destroyed. To be a farmer or a rancher you have to enjoy the lifestyle. 2. Why do ranchers feed corn? Ranchers feed corn to help cattle grow and develop just like parents feed their children nourishing food to help them grow and develop. Corn is a wonderful source of protein and many other nutrients that cattle need. 3. Doesn’t beef make you fat? Beef doesn’t make you fat it is actually a naturally-nutrient rich food that is an important part of a well balanced diet. There are 29 cuts of beef that meet government labeling guidelines for lean! The nutrients in beef help you maintain a healthy metabolism, which helps maintain a healthy weight, build muscle and gives fuel for physical activity. 4. Do you keep the cows inside during the winter? We live in South Carolina so our winters aren’t very cold. Actually many people come to vacation in our area in the winter because of our climate. So no our cows are not kept inside during the winter, but at all times our cattle have access to shelter, clean water, and hay during the winter months. 8. Why aren’t you an organic farm? We chose not to be an organic farm. Studies have shown there is no nutritional benefit to organics. We chose to raise our livestock in the way we feel is the safest and healthiest for them and us. My son receives vaccines against harmful diseases and antibiotics when he is sick so I feel that we should treat our cattle with the same respect. We give them vaccines to protect from harmful diseases and antibiotics when needed if they are sick. 18. Why do ranchers give cattle antibiotics? We give our cattle antibiotics when they are sick just like we give our son antibiotics when he is sick. To keep our cattle healthy we must care for them in the best possible way.